Data analysis is crucial in getting the best outcome§from an astronomical observation. 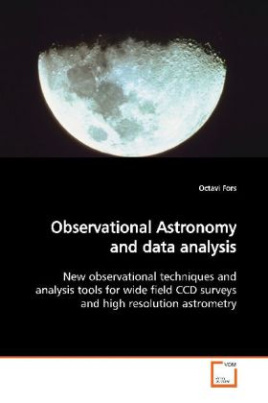 It is cheaper to§invest in data analysis than in new expensive§telescopes, space missions, and instrumentation.§That, of course is a false dilemma, but it is also§true that often not enough effort is paid to data§analysis compared to other disciplines.§This book tries to fill in this gap with showing a§series of a new data reduction algorithms and§observational techniques in Astronomy. Among them,§image deconvolution in wide-field images, new star§centering algorithms, and new CCD acquisition§techniques such as fast-drift scanning applied§to lunar occultations and speckle interferometry.